Jesus is the Great Shepherd and we Christians are the sheep (Jn 10:1-18). He is the True Vine and we are the branches (Jn 15:1). We are "living stones" building built into a house which is a habitation for God---Christ Jesus is the cornerstone (1 Peter 2:4-7, Ephesians 2:19-22). The Lord is described as a merchant who finds and buys a single pearl of great price (Mt. 13:45). He is Great High Priest over the household of faith, and we are his servant-priests (Heb. 4:14-16). The church is the Body of Christ, every one a member of every other, and all under the direction of Christ the Head of the Body (1 Cor. 12:12-14, Ephesians 2:11-18, 4:4-16). Finally the church is the Bride of Christ and Jesus the waiting Bridegroom (2 Cor. 11:2, Eph. 5:26, 27; Rev. 21:9). The amazing fact which the Scripture clearly declares, but which thousands of Christians have failed to see, is that God has designed that his church should be a kind of government on earth undergirding visible governments. This would make possible a climate of benevolent law and order, the rule of justice and peace, and would hold in restraint the wild forces of tyranny, anarchy and murder. (See Matt. 5:13, 14; Phil. 2:14, 15; 1 Tim. 2:1, 2.) Whenever the church has approached the biblical pattern, righteous conditions have begun to prevail. And when it has turned from this divine pattern to rely on secondary forces it has become proud, rich and tyrannical, or worldly, weak and despised by all. (Ray C. Stedman, Body Life , 1972, 1995). Jude, the brother of our Lord, began his short epistle urging his readers with all diligence and earnestness "to contend [epagonizomai, from epi, upon or about, (intensive) plus agon, a contest], for the faith which was once for all time [hapax] delivered [paradidomi, or delivered over, handed over] to the saints." Jude is talking about the faith, the total content of the Christian faith, not just simple faith or trust in God. This faith was handed as a package from the Lord Jesus to the Apostles and was then transmitted from one generation into the next, person to person. Finally, we, too, in our own time were reached with this glorious good news, transmitted to us by faithful witnesses. We are now responsible for the whole package and its communication to the next generation, undiluted and unpolluted. The package includes all that the Old and New Testament have to teach us accompanied by a sound heritage of interpretation and wisdom from God imparted to his people. That way the church maintains its central integrity and orthodoxy. Though Christians may differ in certain peripheral matters, we all need to seek and hold on to a core of sound understanding and to establish a Biblical world-view for ourselves. We are all strangers and pilgrims in an evil world, en route to the heavenly Jerusalem---traveling companions with those saints who have gone on ahead of us. In their concern for doctrinal corrections and theological orthodoxy in teaching, the Apostles wanted all believers to be acquainted with the "whole counsel of God." How can we do the will of God if we remain unacquainted with his ways and his character and his plans for mankind? Yet orthodoxy in doctrine and full Biblical knowledge is not sufficient---as the Lord himself warned the church at Ephesus (they excelled in doctrinal excellence), "I have this against you, that you have abandoned the love you had at first." In the faith, (which was once for all time transmitted to the saints), lifestyle, conduct, self-giving love and godliness are vitally important. Truth not acted upon is lost and hypocrisy is something God deeply hates. Mere profession of faith not backed up by a changed life is worthless. In his great chapter on love (1 Cor. 13) the Apostle warns that "If I have no love it profits me nothing," and Peter says, "love covers a multitude of sins." (1 Peter 4:8) God seeks for wholeness in his children, which requires doctrinal integrity plus a responsive daily walk with God---in order that our lifestyles come around to match our beliefs. Indeed we are to pursue holiness, "without which no one will see the Lord" (Heb. 12:14). Jesus said, "When the son of man returns will he find (the) faith on the earth?" (Luke 18:8) These words cause us to question the final state of the church around the world at the time of Second Advent. The Old Testament is a dismal record of Israel's continued and repeated failure---despite the patient long-suffering love and mercy of God. Why then should we expect the church to succeed where other sinful sons of Adam have failed? True the promises of God and provisions made by the New Covenant are stronger and more powerful than those given to Israel under the Old Covenant, but it is biblical to say that the predicted end of the church in the New Testament is failure. Only a "remnant" will be saved out of professing Christendom---as was the case with Israel. The majority of professing nominal Christian church-goers will, sadly, go into the false, or harlot church of the tribulation period. The idea that the Gospel would gradually subdue the people of the world and eventually bring them to the feet of Christ is contradicted alike both by the Scriptures and by history, and the result has been the rapid decline in the twentieth century of optimism in relation to the triumph of the church in the present age...A survey of Scriptural prophecy as it relates to the spiritual trends of the present age should have made clear to any inquirer that the present age will end in apostasy and divine judgment rather than victory for the cause of Christ through the triumph of the church. Major passages of Scripture deal with this subject and the expositor is embarrassed by the wealth of material which plainly teaches that the end of the age will be characterized by apostasy (Matthew 24:4-26; 2 Thessalonians 2:1-12; 1 Timothy 4: 1-3; 2 Timothy 3:1-9; 4:3, 4; 2 Peter 2:1-3:18; Jude 3-19; Revelation 3:14-16; 6:1-19:21). "Another parable he put before them, saying, 'The kingdom of heaven is like a grain of mustard seed which a man took and sowed in his field; it is the smallest of all seeds, but when it has grown it is the greatest of shrubs and becomes a tree, so that the birds of the air come and make nests in its branches.'" Mustard seeds are small seeds and ordinarily grow into reasonable shrubs. Mustard is a spice, an irritant, used in earlier times to make burning mustard plaster, which when placed on the chest was thought to cure all manner of ills. Here Jesus describes the state of the kingdom of God (at the end of the age) as an outlandish, overgrown, useless tree in which the vultures perch. The final state of the church will be like an inefficient bureaucratic organization infiltrated with evil birds of prey, no longer a company of pilgrims on a journey out of this life-pilgrims who should be salt and light wherever they go. Leaven in scripture is always a symbol of evil. The measures of flour represent the fellowship God intended for his people to enjoy with him and with one another. The pervasive influence of the leaven of hypocrisy which was the leaven of the Pharisees, the leaven of the Sadducees which was rationalism, the leaven of materialism, characteristic of the Herodians, the leaven of legalism---all have worked together to ruin the quality of spiritual life God intended for his church. Our Lord is looking down the centuries to follow and he sees the thing which is most precious to God about the work which he himself has begun among mankind. This is the fellowship of God with his people, the sharing of life with each other and with God, the family of God, the oneness of the body of Christ, with all the members sharing life in openness and honesty together under the love and forgiveness of the Father. And into that wonderful fellowship these false, evil principles are introduced by those who had the right and the authority to preserve this fellowship, i.e., the leaders of the church. It is they who introduce the leaven into it, who permit it to come in and do not exclude it as they should. Those who are charged with the responsibility of developing the fellowship of God's people nevertheless allow hypocrisy, formalism, ritualism, rationalism, materialism, legalism, immorality---all of these things-to come in. And when these things set into a church they destroy the fellowship of God's people. What an instructive parable this is! As we apply it to ourselves we can see that this is what has been happening. This is why churches are oftentimes charged with being cold and unfriendly-because there's no fellowship. It is too often only on the most superficial basis that people come and sit together in the congregation, not as members together of one great family, but as individuals listening to a service but not relating to the person next to them. But that isn't Christianity as it is intended to be manifested. That is only a form, only a moment in the Christian life. The major part is to be the sharing of each other's concerns, the bearing of one another's burdens, the confessing of our faults one to another and praying for one another that we may be healed, the opening of our lives and the transparency of our actions before others. This is the great fellowship that our Lord is seeking. Each of the letters to the seven churches in Revelation (Chapters 2 and 3) contains a special message to the remnant of true believers in every congregation and in every age. This minority group in every church is described as overcomers. Each of these groups is given a special challenge appropriate to their situation and circumstances. All Christian churches now in existence can be described as belonging to one of these seven generic groups. In addition, the course of the church age from the First Century till now has enjoyed a season of time in which each of these churches in turn has been the congregation of predominant influence in that age---beginning with Ephesus and closing with Laodicea. To the church which is doctrinally sound but has lost its love, warm and openness (Ephesus) the remnant is urged to recover that lost love fervent love for the Lord Jesus---and for one another. They are promised: "To him who overcomes I will grant to eat of the tree of life, which is in the paradise of God." To Christians who are suffering persecution and great hardships, Smyrna-type believers are encouraged to not fear and to endure, if necessary, to the death. "He who overcomes shall not be hurt by the second death." Pergamum-like churches with their hidden idolatry and permissive attitude towards immorality need urgently to repent and correct these serious problems. Their faithful remnant is promised: "To him who overcomes I will give some of the hidden manna, and I will give him a white stone, with a new name written on the stone which no one knows except him who receives it." In both the church of Pergamum and Thyatira, Jesus was gravely concerned about their continued toleration of sexual immorality and associated idolatry infiltrating in from the pagan world outside. Thyatira's faithful remnant was given the challenge, "He who overcomes and who keeps my works until the end, I will give him power over the nations, and he shall rule them with a rod of iron, as when earthen pots are broken in pieces, even as I myself have received power from my Father; and I will give him the morning star. He who has an ear, let him hear what the Spirit says to the churches." Sardis' remnant Christians, who have not soiled through garments through defilement by the world are encouraged, "He who overcomes shall be clad thus in white garments, and I will not blot his name out of the book of life; I will confess his name before my Father and before his angels. He who has an ear, let him hear what the Spirit says to the churches." There can be little doubt the church in America today is fully Laodicean. The age of Philadelphian Christianity has quietly slipped away from us in the past half-century. The Philadelphian Christian remnant was told, "He who overcomes, I will make him a pillar in the temple of my God; never shall he go out of it, and I will write on him the name of my God, and the name of the city of my God, the new Jerusalem which comes down from my God out of heaven, and my own new name. He who has an ear, let him hear what the Spirit says to the churches." Since the Laodicean church is representative of the church as a whole at the close of our age we should pay special attention to the Lord's analysis of this church and his words of exhortation to the faithful remnant that remains at the end of the age. "The words of the Amen, the faithful and true witness, the beginning of God's creation. 'I know your works: you are neither cold nor hot. Would that you were cold or hot! So, because you are lukewarm, and neither cold nor hot, I will vomit you out of my mouth. For you say, I am rich, I have prospered, and I need nothing; not knowing that you are wretched, pitiable, poor, blind, and naked. Therefore I counsel you to buy from me gold refined by fire, that you may be rich, and white garments to clothe you and to keep the shame of your nakedness from being seen, and salve to anoint your eyes, that you may see. Those whom I love, I reprove and chasten; so be zealous and repent. Behold, I stand at the door and knock; if any one hears my voice and opens the door, I will come in to him and eat with him, and he with me. He who overcomes, I will grant him to sit with me on my throne, as I myself conquered and sat down with my Father on his throne. He who has an ear, let him hear what the Spirit says to the churches." The church described as the body of Christ, with Christ the head of the Body (Ephesians 4, 1 Corinthians 12-14) is a reminder that the true church is a living organism, not an organization. We need one another and depend on one another as the various organs and systems of the human body are interdependent. Each member of the church reports directly to the Head, there is no hierarchical leadership in the church. All members have spiritual gifts and all are called to the ministry. "If one member suffers, all suffer, if one rejoices all rejoice." That is what is often lacking in the church today. We have taken away the koinonia, the commonness of the body of Christ. We have lost that to a great extent in the church in general. But we have held onto the kerygma, the preaching, the proclamation. We expect to convince everybody by an intellectual presentation of truth. But the reason why the evangelical church of our day is rejected and set aside in so many quarters is that people who come to it are disappointed because they hear great words but they don't see great lives; they don't see warmth, they don't see love and acceptance, they don't see understanding and forgiveness. What they too often run into is strife and bickering and fighting and quarreling and unforgiveness, jealousy and bitterness, grudges and splits and feuds and divisions, hostility and anger, worry and anxiety. They listen to the preaching of these great words that the church has to say and then they look at our lives to see how it works. And what they see convinces them that the words are not true. What they see is exactly what they find in their own lives and homes. What can we as followers of the Lord Jesus Christ at the close of the age of the church? From the messages of Jesus to the seven churches it is clear that Christ offers special words of encouragement to the overcomers in each church. Each of us can make himself or herself unconditionally available to the Lord Jesus Christ. It is not necessary for us to get dragged down by those around us if our individual congregation has departed from the truth in teaching or conduct or has lost its first love. We can study to show ourselves approved, (2 Tim. 2:15), we can turn aside from the base things of the world and seek God's best so that we are worthy of the Master's most honorable use (2 Tim. 2:19-21). Are there Signs of the Rapture of the Church? One of the neglected areas of prophetic study is that pertaining to the end of the church age. The assertion is often confidently made that there are no signs of the rapture of the church, as it is presented everywhere in Scripture as an imminent event. Therefore, it is argued, we should be looking for the coming of the Lord, rather than for signs that precede, as the rapture of the church is before the time of tribulation predicted in Scripture. Most of the prophetic word relating to the end time has to do with the second coming of Christ to establish His kingdom in the earth. Prophecy is devoted to the events which precede the second coming rather than a series of events preceding the rapture itself. In the Gospel of Matthew, for instance, the general and specific signs leading up to the second coming of Christ are clearly outlined and the great tribulation is presented as the great, unmistakable sign of the second coming of Christ to the earth. In a similar way in the book of Revelation, an extended revelation is given beginning in chapter 6 of the events which will mark the end of the age preceding Christ's return to the earth. If these events follow rather than precede the rapture of the church, they cannot be taken as signs of the rapture itself. There are, however, two bona fide areas of study relating to anticipation of the rapture itself. One of these has to do with preparation for events which will follow the rapture. There are extensive preparations in the present world scene which seem to be a foreshadowing and preparation for events which will follow the rapture. If so, these would constitute evidence that the rapture itself may be near. These signs will be presented in a later discussion. Another important area, however, is the Scriptural description of the church at the end of the age. According to Scripture, there will be a progression of fulfilled prophecy in the church age itself which will be observable before the rapture even though its final form will not come into existence until after the true church has been caught up to be with the Lord. In a word, the Scriptures predict that there will be a growing apostasy or departure from the Lord as the church age progresses, and its increase can be understood as a general indication that the rapture itself is near. The Scriptures dealing with this subject are those which describe the church in the end of the age. These are in contrast to events of the tribulation itself which come to pass subsequent to the rapture. The concept of apostasy or departure from the faith is by no means a new idea, but can be traced throughout Scripture beginning in the Garden of Eden. There the taunting question expressed by the serpent to the woman, "Yea, hath God said?" (Genesis 3:1), introduced unbelief to the human race which has borne its sad fruit through the centuries since Adam. Basically, apostasy has always been a departure from faith in God's revealed Word, whether oral or written. It was that unbelief which inspired the first sin and in subsequent generations made necessary the terrible judgments of God upon human sin. In the Old Testament, it took the form of questioning God's revelation concerning sacrifices as revealed in Cain's rejection of blood sacrifices as a way of approach to God which ended in the murder of his brother. Abel. It was this same attitude of unbelief which rejected the preaching of righteousness through Noah even as he was building the ark which ended in the terrible judgment of the flood. It was the departure from the revealed worship and will of God which led to the construction of the Tower of Babel and the introduction of God's plan for Abram and his seed. It was lack of apprehension of the plan of God for Abram's posterity that caused Jacob to leave the land and ultimately to find his way down into Egypt to escape the famine. It was through unbelief that Israel failed to conquer the land under Joshua and to ignore in subsequent generations the solemn warning of Moses. It was unbelief that produced the awful immorality of the period of the Judges. It was unbelief that led Israel into idolatry which ended in the captivities of Assyria and Babylon. Finally, it was unbelief which blinded the eyes of Israel in rejecting the credentials of their Messiah and Saviour. The history of the church subsequent to the close of the canon is also a sad record of departure from God. The church, kept pure through persecution in the early centuries, soon began to depart from the faith contained in the Scriptures once the church became a popular organization under Constantine. The first casualty was a departure from chiliasm, or the doctrine of the premillennial coming of Christ and the establishment of His millennial kingdom. Though the early church as well as the church of the Middle Ages seems to have clung resolutely to the idea of a bodily second coming as indicated by their creeds, the precious truths of the imminent coming of the Lord for His church and the establishment of Christ's righteous reign on earth soon lost its prominence. The teaching arose that Christ could not come back until a thousand years after the time of the apostles. This was based on the erroneous idea that the church was already in the millennium and that the millennium had to run its course before Christ could return. The next important casualty in Scriptural doctrine was the departure from grace beginning with Augustine and his theology. While holding resolutely to the doctrine of human depravity with its corresponding need of divine grace, Augustine and subsequent theologians in the Roman Catholic Church maintained that grace was channeled through the church and the sacraments and, apart from this medium, there could be no true salvation or bestowal of grace. As a result, the great doctrine of justification by faith, the truth of the fullness and power of the Holy Spirit, and the truth that believers had immediate access to the throne of grace without an earthly priest as mediator became dim. Soon the authority of the Scriptures as the Word of God became subordinate to the authority of the church, and the interpretation of the church took precedence over the teaching ministry and illumination of the Holy Spirit. The Word of God, thus shackled and to a large extent kept from the people, cast its restricted light on the darkness of the Middle Ages. The Protestant Reformation, of course, brought a fresh study of great essentials of Christian truth. Once again the Word of God was made its own authority. The great doctrine of justification by faith was proclaimed. The Roman priesthood was thrust aside in favor of the clear teaching that every Christian is a priest once he has put his faith in Christ and can have immediate access to the throne of God in the name of his Saviour. Likewise the grace of God came as an immediate bestowal of the Holy Spirit. Though Protestantism did not completely shake loose the sacramental idea of the Romanish system, it was a new state of freedom. Every man now could interpret the Bible guided by the Holy Spirit as his teacher and could revel in the abundance of God's sanctifying truth. The Protestant Reformation, however, had barely begun before the sad evidence of further departure began. In the centuries that followed, the enlightenment freed men's minds and wills to believe and do as they pleased. No longer shackled by the dogma of the church, men could achieve new understanding of the physical and philosophic ream. Soon higher criticism began to rear its ugly head, and rationalism demanded that Christian doctrines be submitted to the bar of reason. Mystics arose who made experience the criteria of theological judgment. Critics began to divide the Bible and challenge traditional views of authorship and historical backgrounds. Apostasy invaded Protestantism with the same devastating effect it had had on the Roman Church. The departure from the doctrine of infallible inspiration of the original writings in the nineteenth century in Europe soon found its way to the Western Hemisphere and precipitated the modernist-fundamentalist controversies of the first quarter of the twentieth century. With the departure from the doctrine of inspiration, there came ultimately a like departure from the doctrine of Christ. The virgin birth began to be questioned and declared unimportant. The deity of Christ was reduced to a divine quality rather than to a state of divine being. The bodily resurrection of Christ was made a spiritual resurrection instead of a literal raising of His body from the grave. Open skepticism arose within the church concerning doctrines of final judgment and of heaven and hell. The love of God was regarded as making impossible a God of righteous judgment. The twentieth century marked not only the departure from Biblical Christianity to an extent never before witnessed in the history of the church, but also signaled the rise of new and confusing heresies. Multiplied cults and new forms of religion arose with varied degrees of allegiance to Christianity, a new combination of old errors came into being, of which the most powerful and important is neo-orthodoxy. The growth and character of apostasy in the world today, when viewed in the light of predictions in the Scripture concerning the last days of the church, seem to be a clear parallel to what one might have a right to expect in the days immediately preceding the rapture. One of the major revelations concerning apostasy in the last days is that contained in 1 Timothy 4:1-3: "Now the Spirit speaks expressly, that in the latter times some shall depart from the faith, giving heed to seducing spirits, and doctrines of devils; speaking lies in hypocrisy; having their conscience seared with a hot iron; forbidding to marry, and commanding to abstain from meats, which God hath created to be received with thanksgiving of them which believe and know the truth." This revelation given by Paul to Timothy according to the passage itself has to do with the "latter times." The character of departure from the faith is specified as containing the following items: (1) giving heed to seducing spirits, and doctrines of devils; (2) speaking lies in hypocrisy; (3) having a conscience which is insensible; (4) forbidding to many; (5) and commanding to abstain from certain food. While these factors can be seen to some extent throughout the history of the church, they are increasingly evident in modern Christianity. The satanic character of departure from the faith is evident in the Confusion existing in the church regarding its proper theology. That which is contrary to the Scriptures is offered as the truth of God. Much that is traveling in the guise of religion is to spiritually minded Christians nothing other than an evidence of the power of Satan with all its deceptiveness. False doctrines are advanced without any attempt to relate them to the Word of God. In the name of religion much is promoted that demonstrates an insensitivity to the morality and holiness commanded of true Christians. Of special interest is the prophecy that in the end of the age there will be prohibition of marriage and requirement to abstain from certain foods. It is evident in the Roman Church today that priests are forbidden to marry on the ground that the single estate is more holy than the married estate, something which is not taught in the Word of God. It should be clear to any reader of Scripture that the creation of Eve was God's plan, not Adam's, and that the command to populate the earth by bearing children preceded rather than followed the fall. Though an individual cases it may not be God's will for some to marry, as illustrated in the case of Paul, others were in the will of God in the married estate as in the case of the Apostle Peter. The prohibition regarding marriage originates in the commands of men, not in the Word of God, and is a sign of the encroaching false religion which characterizes the end of the age in contrast to the true faith contained in the Scriptures. Another obvious factor is the religious custom to abstain from meats on Friday and to refrain from certain foods during Lent. This again is a man-made invention and certainly not taught in the Word of God. As the apostle indicates, if the food is that which God has created to be received with thanksgiving, then it can be eaten without violation of the moral will of God. The encroaching ritualism represented in these two items of I Timothy 4:3 is typical of religion as it attempts to curtail freedom which belongs to the child of God under grace. The fact that these three verses provide such an accurate picture of the contemporary scene leads to the conclusion that that which Paul described as coming to pass in the latter time is already being fulfilled in the professing church today. One of the major sections on apostasy in the last days is that provided in II Peter 2-3. In these two chapters a comprehensive picture of the false teachers of the last days is given. In II Peter 2:1,2, the major features of apostasy are predicted: "But there were false prophets also among the people, even as there shall be false teachers among you, who privily shall bring in damnable heresies, even denying the Lord that bought them, and bring upon themselves swift destruction. And many shall follow their pernicious ways; by reason of whom the way of truth shall be evil spoken of." According to Peter, there would arise in the church period false teachers corresponding to the false prophets which Israel endured. These false teachers would by stealth bring in that which he described as "damnable heresies" or "destructive heresies." It is cleat here that the apostle is not dealing with minor variations within the Christian faith such as often characterized difference of opinion within the orthodox church. It is rather that he predicts departures of such character that they are destructive completely to the Christian faith, that is, make impossible the salvation of those who adhere to them. He states that these heresies can be described as "denying the Lord that bought them" with the result that they will bring upon themselves swift destruction. It would be almost impossible to state more succinctly the fundamental denial of the Christian faith which characterizes our day, for modern Christianity has indeed denied the Lord who bought them. This is actually a twofold error which is having a devastating effect upon the church. It is, first of all, the denial of the person of Christ and, second, a denial of His work. It is characteristic of modern liberalism to teach that Jesus Christ was not born of a virgin, but actually was the natural child of Joseph and Mary. In attempting to explain the unusual influence of Christ upon His generation, and to account for the formation of the Christian church, it is often admitted that Christ was an unusual person even if He were only an ordinary man. Modern liberals often explain that Jesus as a lad was an unusual person. He had an unusual consciousness of God and an unusual devotion to the will of God. Liberals explain that this was so noticeable in His character that people began to identify Him with God and called Him the Son of God. Accordingly, they point to Christ as the great example. They say that just as Christ became the Son of God by yielding to the will of God, by thinking God's thoughts, by worshiping God, and by doing God's will so that others can follow in His example and also become the sons of God. From the standpoint of orthodox Christianity, of course, this is indeed a damnable heresy. It is affirming that Christ was an ordinary man who became divine in His experience but not in His person. It by-passes the whole matter of Christ's substitutionary atonement, the natural depravity of men, and the need for supernatural grace. Though often taught cleverly and covered up with evangelical terminology, it is all the more a deceptive device to take people from the truth as it is in Christ Jesus. Modern neo-orthodoxy, while not straying as far as many liberals have gone, nevertheless tends to ignore the question whether Christ existed from all eternity past as the Second Person. They tend to by-pass the problem of whether there was indeed a genuine incarnation of the infinite God and man and whether Christ as a man was indeed all that He was before as the infinite God. Though the expression "Son of God" and the adjective "divine" are often attributed to Christ, it is not at all clear whether they mean by this something distinctive and unique. There is far more denial of the person of Christ in modern Christianity than is immediately apparent. It is probable that never before in the history of the church has there been more subversion of the true doctrine of Christology than there is in the contemporary theology of the church. If denial of the person of Christ is common, even more so is there denial of the concept that Christ bought us. The idea that Christ is a substitute for sinners, that He died as a Lamb upon the cross, that He bore our sins as the Scriptures indicate, and by the shedding of His blood effected a judicial basis for our salvation, is all most offensive to the modern mind. To modern men the death of Christ is at best a noble example of sincerity of purpose or a demonstration of the wickedness of man, in that man would crucify such a noble character. To the liberal, the love of God is redemptive itself apart from the sacrifice of Christ and in effect liberals do exactly what Peter predicts, they deny the Lord bought us with His shed blood. While there may be differences of opinion on the interpretation of prophecy within the body of Christ, which do not affect the eternal salvation of those who hold these opinions, it should be obvious to every careful student of the Word of God that a denial of the person of Christ and a denial of the sacrifice of Christ strikes a blow at indispensable Christian truths and, as Peter predicts, those who deny this will bring upon themselves the righteous judgment of God. Peter goes on to prophesy that many will follow their pernicious ways. It is sadly true that the way of truth is in a minority in the modern day. While churches beautiful in architecture and rich in appointment are evident in every city, their existence and their popularity is not in itself an evidence that the truth is being preached. Instead, Bible-believing Christians are sometimes viewed as cultic, as abnormal, as reactionary, as anti-intellectual, and as those who do not keep abreast of the times. 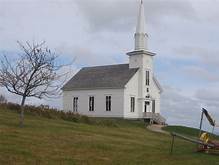 Not many churches today welcome either to the pulpit or to the pew those who expound apostolic doctrine which is normally considered orthodox in the history of the church. Instead, those who have platitudes of good works, who preach interesting but unchallenging sermons and who leave their congregation undisturbed seem to be in the ascendancy. The Apostle Peter spares no words in describing these false teachers. He accused them of "covetousness," of "feigned words," of making "merchandise of you," as being subject to God's "judgment," and "damnation" (II Peter 2:3). He accuses them of walking "after the flesh in the lust of uncleanness," of being such as "despise government," who are "presumptuous," "self-willed," who "speak evil of dignities" (II Peter 2:10). He declares that they are "as natural brute beasts, made to be taken and destroyed," who "speak evil of things that they understand not" and who "shall utterly perish in their own corruption" (II Peter 2:12). He declares that they "shall receive the reward of unrighteousness, as they that count it pleasure to riot in the daytime" (II Peter 2:13). Even in the observance of the Lord's Supper, they are "spots" and "blemishes" (II Peter 2:13). Their immorality is revealed in that they have "eyes full of adultery," and "cannot cease from sin; beguiling unstable souls" (II Peter 2:14). They are "covetous," "cursed children"; "they have forsaken the right way, and are gone astray, following the way of Balaam the son of Bosor, who loved the wages of unrighteousness" (II Peter 2:14,15). They "are wells without water, clouds that are carried with a tempest; to whom the mist of darkness is reserved for ever" (II Peter 2:17). They "speak great swelling words of vanity, they allure through the lusts of the flesh" (II Peter 2:18). They promise "liberty" though "they themselves are the servants of corruption" (II Peter 2:19). They are said to fulfill "the true proverb, The dog is turned to his own vomit again; and the sow that was washed to her wallowing in the mire" (II Peter 2:22). In the Epistle of Jude, a similar indictment is leveled against those who are apostates. They are said to be "ungodly men, turning the grace of our God into lasciviousness, and denying the only Lord God, and our Lord Jesus Christ" (v. 4). Jude does not spare denunciation of apostate teachers, comparing them to the apostates in Sodom and Gomorrah, both in their rebellion against God and against Christian moral standards. In most details, Jude parallels II Peter. From these extended references to the moral character of apostasy, it is clear that God takes a far more serious view both of the theology and morality of false religion than is common among Christians today. The Word of God strips the apostates of any veneer of respectability, sincerity of motives, or worthy purpose, and reveals them for what they are, tools of Satan and the enemies of Christ and of all who love Him. This shocking portrayal of the character of false teachers and their doctrines is too little realized by the church of Jesus Christ today. Misguided by religious phrases and the pomp and ceremony of modern Christianity, with its appearance of scholarship and its supposed progress in theology, many today are not willing to face the stark reality of heresy within the church and the widespread departure from Biblical faith. Here in the words of Peter and forming this portion of the inspired Word of God, heresy is unmasked and the contemporary church is seen from God's viewpoint. The hypocrisy, immorality, vanity, and emptiness of modern liberalism has its culmination in denying the Lord who died for a lost humanity. In the form of a postscript to the Apostle Peter's general description of apostates in the last days, the prediction is added that there would also be departure from the truth of the second coming of Christ. Peter writes: "Knowing this first, that there shall come in the last days scoffers, walking after their own lusts, and saying, Where is the promise of His coming: for since the fathers fell asleep, all things continue as they were from the beginning of the creation" (II Peter 3:3,4). In this passage false teachers are described as "scoffers, walking after their Own lusts:' On the one hand they are unbelievers, that is, those who will not accept the Word of God concerning the coming of the Lord, and, second, they are motivated by their own lusts and immorality. It is an obvious fact that modern liberals scoff at the second coming of Christ, motivated primarily by their desire to avoid the doctrine of divine judgment upon sin which is commonly associated with it in Scripture. The widespread denial of a bodily return of Christ is prompted by a desire to avoid the teaching of Scripture concerning the revelation of righteousness which will accompany fulfillment of prophecy relating to the second coming. These false teachers approach the doctrine of the second coming with a question born of unbelief as they ask, "Where is the promise of his second coming?" They attempt to support their unbelief by the statement, "Since the fathers fell asleep, all things continue as they were from the beginning of the creation." Both the questions raised and the supporting evidence is, of course, contradicted by the facts of history. There is no logical support of the idea that a delay in the second coming of Christ is a valid argument against its ultimate fulfillment. Many prophecies in the Scriptures were fulfilled thousands of years after their deliverance, and there is no reason to believe that the passage of time alters the sure Word of God. The argument that all things have continued undisturbed since creation is contradicted by many Scriptures. Peter points out that their assumption that all things have continued without interruption from beginning of creation is an absolute untruth. The entire Word of God bears its testimony to the fact that God does intervene in human events, that He does guide human history, that both naturally and supernaturally the providential government of God is manifest in the history of the world. An illustration is afforded first of all in the doctrine of creation itself in that God by His own command caused the earth to stand out of the water and in the water and created the starry heavens above. In verse 6 he refers to the earth as being destroyed by being overflowed with water. This is usually considered a reference to the flood of Noah. Peter says that just as God once destroyed the earth with water, so it is predicted He will in the future destroy the earth by fire. Though not mentioned by Peter, it is obvious that the history of Scripture contains many other interventions of God into the natural situation. Many of His chastisements of Israel are illustrations of the fact that all things have not continued as they were from the beginning of creation. The greatest intervention of all was in the first coming of Christ when God invaded the human sphere in the form of the incarnation, The literal fulfillment of promises pertaining to the first coming is a foreshadowing of the literal fulfillment of promises pertaining to the second coming. For liberals, of course, who deny a genuine incarnation and who do not accept the testimony of Scripture, probably the appeal to nature used by Peter is the most valid and telling argument. The promise of a future destruction by fire is joined to an explanation as to why the second coming has not already been fulfilled. As Peter explains it, in the first place, "one day is with the Lord as a thousand years, and a thousand years as one day (II Peter 3:8). By this he means that time is not a factor with God in the same sense as it is with man, in that a thousand years pass as quickly for God as one day does with man. On the other hand, he means that there is the same planning in one day of human experience as there is in a thousand years of human history. God views the world in its history both from the microscopic and telescopic viewpoint. For this reason, the passage of several thousand years since the first coming of Christ is no argument at all that the second coming will not be fulfilled in God's time. In contemporary theology, however, even liberals have been forced to give renewed attention to the doctrine of the second coming. Liberals have been jarred from their complacency by the events of the first half of the twentieth century including World War II. They have had to face the fact that the world could come to a sudden and dramatic end and that such an end is not beyond reason and certainly not beyond the Scriptural revelation. As the second half of the twentieth century began, however, it soon became clear that this renewed attention to the doctrine of the second coming of Christ was not a return to the Biblical truth, but rather an attempt to evade its plain teaching. The second coming of Christ is thus regarded as a spiritual experience, as a divine intervention into human consciousness or possibly as fulfilled in the death of the believer. The dramatic events related in Scripture as preceding and following the second coming of Christ are usually ignored. Further light is given on the real cause for delay in Christ's return to the earth in II Peter 3:9: "The Lord is not slack concerning his promise, as some men count slackness; but is longsuffering to us-ward, not willing that any should perish, but that all should come to repentance." The reason for the seeming delay in the coming of the Lord is not due to slackness or inability to fulfill His promise, but is inspired instead by the longsuffering of God who wishes to extend mercy to the ultimate limit, permitting all who will come and escape the divine judgment which attends the second coming. God is "not willing that any should perish, but that all should come to repentance." This is His desire and though the Scriptures clearly reveal that God's heart will not be completely satisfied in this respect in that many will perish, it is the will of God that opportunity should be afforded as long as possible. In due time, however, the Day of the Lord will come. Peter describes this in verse 10 as a time "in which the heavens shall pass away with a great noise, and the elements shall melt with fervent heat, the earth also and the works that are therein shall be burned up" (II Peter 3:10). From Revelation 20:11; 21:1, we learn that this will take place at the end of the Day of the Lord rather than at its beginning, that is, the Day of the Lord is viewed as the extended period of time between the rapture of the church and the end of the millennium, and will be climaxed by destruction of the present heaven and earth and the creation of a new heaven and earth. It is stated plainly that the earth and the works in it are going to be burned up. According to II Peter 3:11: "All these things shall be dissolved." This could not he at the beginning of the millennium, for life continues including identifiable. geographic locations such as the Mount of Olives, the city of Jerusalem, and the nations which surround Israel. Peter states clearly that God's ultimate purpose is something more than simply Christ coming back to earth. It is the fulfillment of God's plan to bring in the eternal state where righteousness will reign and where the saints will enjoy the blessings of the grace of God throughout eternity. Those who scoff at the second coming of Christ are thereby denying the total of God's program prophetically for the world and will participate in what Peter refers to in II Peter 3:7 as "the day of judgment and perdition of ungodly men." The prediction that there will be scoffing concerning the second coming of Christ is sadly fulfilled in the twentieth century. Few pulpits today proclaim a bodily second coming of Christ to tile earth. In the minds of many professing Christians, truths concerning the second coming are considered as proper items of faith only for cults and those outside tile main body of Christendom. Countless thousands of professing Christians are totally ignorant concerning the facts of Scripture which describe the second coming of Christ. Though modern liberals have written in recent days numerous works dealing with the second coming of Christ, an examination of their contributions revealed that they are not talking about the second coming of Christ as presented in the Bible, but are using the terminology to refer to crisis in Christian experience or to the death of the believer. Actually, though using the terminology, they do not believe in a bodily second coming of Christ and thereby contribute to the confusion and unbelief that is characteristic of modern Christendom in relation to these great truths. Never before in the history of the church has the truth of the second coming of Christ been so vaguely held so far as the church at large is concerned as in our day. Actually the modern church denies the very idea of the prophetic and declares that it is impossible for anyone to predict the future whether it be the second coming of Christ or any other event in prophecy. Thus, unbelief is on the throne and faith and hope are shoved aside. In the letter to the church at Laodicea, the last of the seven churches of Asia, the charge was made that they were lukewarm: "I know thy works, that thou art neither cold nor hot: I would thou wert cold or hot. So then because thou art lukewarm, and neither cold nor hot, I will spew thee out of my mouth" (Revelation 3:15, 16). Whether or not the seven churches of Asia are prophetic of the entire age as many have held, the charge against the church at Laodicea is remarkably accurate for the church today. In contrast to the church of the Middle Ages which was dead, the modem church fulfills the description of being neither hot nor cold, quite self-content with its supposed riches and attainment. It is characteristic of much of the modern church to say complimentary words about Christ, but to avoid any clear testimony concerning His unique deity and His eternity. There is constant reference to "Jesus of Nazareth" but less clear is the question as to whether He was what He claimed to be, one with the Father in being as well as in fellowship. The church today is too evidently overtaken by its worldliness. The lives of its people are often indistinguishable from those outside the church. Its prayer meetings are the poorest attended meetings of the week. Its congregations build great cathedrals to house their own worship, but often have little concern for the dying millions who have never heard of Christ. In some of the major denominations, it takes over forty congregations to support one full-time missionary on a foreign field. Rejection of such a pseudo-Christianity is evident in the striking statement, "I will spew thee out of my mouth" (Revelation 3: 16). If the Laodicean church is characteristic of the church of the last days, it does not foreshadow any glorious triumph such as is prophesied in postmillennialism. In II Timothy 3: 1-5, there is a graphic picture of apostasy in the last days. Paul described it as a time of peril (II Timothy 3:1), a time when "men shall be lovers of their own selves, covetous, boasters, proud, blasphemers, disobedient to parents, unthankful, unholy, without natural affection, trucebreakers, false accusers, incontinent, fierce, despisers of those that are good, traitors, heady, high-minded, lovers of pleasures more than lovers of God; having a form of godliness, but denying the power thereof: from such turn away" (II Timothy 3:2-5). His summary of the situation at the end time in II Timothy 3: 13 makes it clear that the end of the age will be one of apostasy, "But evil men and seducers shall wax worse and worse, deceiving, and being deceived." The increment of evil, the growth of hypocrisy, selfishness, and unbelief within the bounds of professing Christendom are according to Scriptures the signs of the approaching end of the age. Though there are thousands of faithful congregations and many pious souls still bearing a faithful testimony to Christ in our modern day, it is hardly true that the majority of Christendom is bearing a true testimony. It is the exception rather than the rule for the great fundamentals of the church to ring from the pulpit and for the pew to manifest the transforming grace of God in life and sacrificial devotion. In a word, the last days of the church on earth are days of apostasy, theologically and morally, days of unbelief, and days that will culminate in divine judgment. In the church at Thessalonica, a misunderstanding concerning prophecy is corrected in II Thessalonians 2. Apparently through a false letter or report, they had been led to believe that the Day of the Lord had already come, and they were now in the predicted time of trouble from which they had been assured they would be delivered in I Thessalonians 5. In correcting this misunderstanding, the apostle definitely states that the Day of the Lord cannot come until apostasy of a special character takes place as defined in II Thessalonians 2:3,4: "Let no man deceive you by any means: for that day shall not come, except there come a falling away first, and that man of sin be revealed, the son of perdition; who opposes and exalts himself above all that is called God, or that is worshipped; so that he as God sits in the temple of God, showing himself that he is God." According to this revelation, the Day of the Lord which apparently follows the rapture of the church cannot come, that is, cannot fulfill its predicted character until there be "a falling away first" or, as it may be literally translated, "a departure first:' It has been debated whether this departure refers to the departure of the church as indicated in the rapture or whether the traditional interpretation that it refers to a departure from the faith should be in view. If it refers to the rapture, it is an explicit statement that the rapture must occur before the Day of the Lord and it constitutes a support of the pretribulational position. If it refers to the departure from faith, i.e., apostasy, it teaches that the Day of the Lord cannot come until the man of sin be revealed, a person described as "the son of perdition; who opposes and exalts himself above all that is called God, or that is worshiped; so that he as God sits in the temple of God, showing himself that he is God" (II Thessalonians 2:3,4). Most expositors refer this description to the first beast of Revelation 13, the one described as the coming world ruler who will be worshiped by all men. Some refer it to the second beast of Revelation 13, that is, the false prophet who will be the religious head of the world in that day. In either case the reference is to a period between the rapture of the church and the second coming of Christ to the earth, a period described by our Lord as a time of great tribulation. The apostasy here described, while a 'culmination of the apostasy which characterizes the end of the church age, has the peculiar character of centering in a man who claims that he is God and demands that the entire world worship him. The description corresponds to that found in Revelation 13 where the world ruler is described as one who blasphemes God, who has power for forty-two months, the exact length of the great tribulation, who makes war with the saints, who has power over all kindred, tongues, and nations, and whom all that dwell upon the earth shall worship (Revelation 13:5-8). When the rapture of the church takes place, every true Christian will be caught up out of the world. Those who are within the professing church who are left behind are unsaved and without real redemption in Christ. There is little to hinder their progression into the utter apostasy described for this period which is completely devoid of Biblical truth. The false religion of that day will be inspired of Satan, and culminates in the worship of a man who blasphemes God and all that is called Christian. The character of apostasy before and after the rapture therefore stands in sharp contrast, though in some sense the apostasy following the rapture builds upon that which has preceded it. As will be brought out in later discussion, apostasy in this period takes two forms. First, that which has the semblance of Christianity and is the culmination of the movement toward a world church, as will be characteristic of the first part of the period between the rapture and the second coming. Second, the final stage of apostasy will follow, which will be that predicted in II Thessalonians 2 and Revelation 13, namely, the worship of Satan's man who will be both the political dictator of the world and the object of its worship as God. The super-church foreshadowed in Revelation 13 is seen also in Revelation 17 in the symbolism of the harlot sitting upon the beast. The final state is that of the worship of the world ruler who has destroyed the super-church in favor of the worship of himself (Revelation 17:16).